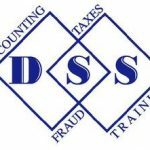 DSS International LLC is a full-service Delaware accounting firm that has been growing since 2001. They provide a full range of financial services designed to help small offices and home-based businesses grow. These services include bookkeeping, payroll, accounting, tax consulting, business startups, business consulting, and tax preparation. They also offer QuickBooks solutions and support. Work For DSS International, LLC? Claim This Page.